First-ever SUV or 4WD model from the BMW-owned British marque is unveiled in London. 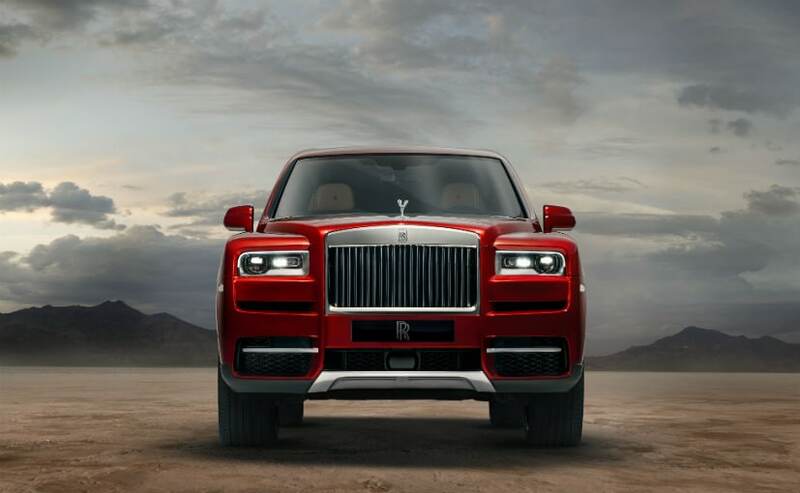 The much awaited and highly anticipated Rolls-Royce Cullinan is here. I have said this before and I shall say it again - time almost stands still when a new Rolls-Royce model is launched. It is a very rare occurrence in the luxury world - and yes I intentionally have not said car world. A Rolls-Royce is so much more than simply being a car. And the all-new Cullinan SUV breaks from tradition and vitally important for the BMW Group company. 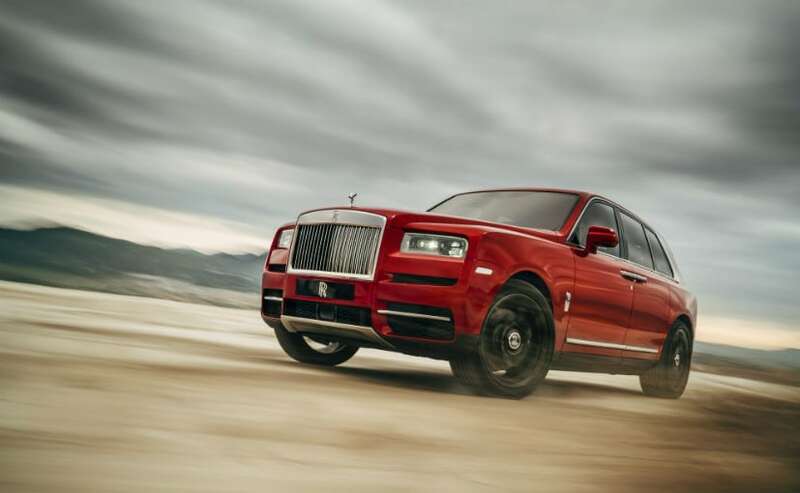 The Rolls-Royce Cullinan is a high-bodied, all-terrain vehicle and not simply an SUV. But with its arrival the company has begun using the SUV nomenclature a bit more freely! "Today we are setting a new standard by creating a new class of motoring and motor car for customers who are well-connected, highly mobile and have a global perspective. They want a new type of motor car that gives them unbounded access in ultimate luxury. 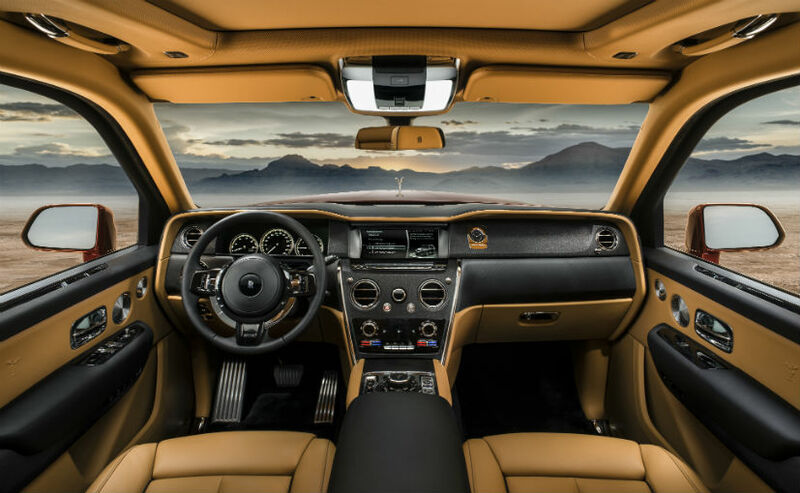 Their sense of adventure and daring demands a "go-anywhere in ultimate luxury" motor car that will both take them to and meet them at the pinnacle of life" says Peter Schwarzenbauer, Chairman of Rolls-Royce and Member of the Board of the BMW Group. The Cullinan is a big car, and its looks embody Roll-Royce style straight away. The car is over 5.3 metres (5341 mm) long and 2.1 metres (2164 mm) wide! The extended wheelbase Range Rover is 5200 mm long - just to give you a perspective on how large the Cullinan is. It has been launched in two configurations - 4 and 5-seater. The Cullinan is named for one of the rarest and biggest flawless diamonds ever found. It sits on Rolls-Royce's new 'Architecture of Luxury' or aluminium spaceframe platform that's shared with the new generation Phantom that arrived in 2017. It also shares that car's drivetrain. The Cullinan features Rolls-Royce's massive 6.75 litre V12 with 563 bhp and a huge 850 Nm of peak torque. Almost similar figures then, to the Phantom's, though torque is down 50 Nm. But then peak torque gets delivered much lower at 1600 rpm, providing maximum torque to the 4 wheels when needed, much quicker. And then this is an all-wheel drive car with 4-wheel steering too. The car has only one single off-road mode - activated by using a button on the central console near the iDrive knob. The off-road or 'Everywhere' mode can be further customised for rough track, gravel, wet grass, mud, snow or sand. Wading depth for the car is 540 mm. The car can send maximum torque to each of the wheels. Torsten Muller-Otvos, CEO, Rolls-Royce Motor Cars says, "Luxury is no longer an urban concept. More and more it is about embracing and experiencing the wider world. Our customers expect to go everywhere in luxury, effortlessly and without compromise, conquering the most challenging terrain to enjoy life's most enriching experiences, wherever they may be. For this reason, they have asked us to create a Rolls-Royce that offers uncompromised luxury wherever they dare to venture. Cullinan is that car. It is Effortless, Everywhere." When you unlock the car to get in, it automatically lowers itself 40mm on its air suspension. Start the car and it will go back up to normal height. The self-levelling air-suspension in fact is a key attribute that goes far in delivering the must-have magic carpet ride that Rolls-Royce cars boast. 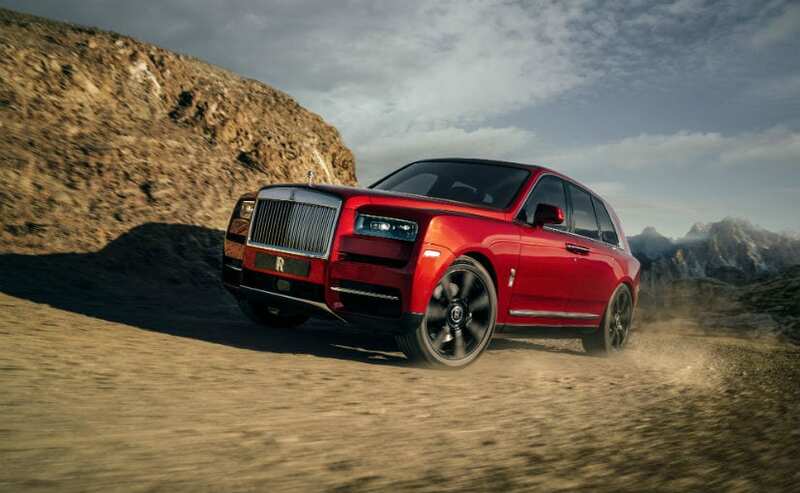 The Cullinan also aims to offer the same by adding larger air struts to the Phantom's air suspension. The larger volume of air helps dull any impact from uneven road or off-road surfaces, and works in conjunction with the all-wheel capability to offer very smooth ride comfort. The car's suspension makes millions of calculations every second by reading inputs from the road, wheel articulation and speed to offer electronically controlled shock absorber adjustments. In off-road conditions an air compression system pushes down any wheel it senses as losing traction, for better grip and stability. One look at the Cullinan and straight away you know it's a Roll-Royce. Unmistakable styling highlights include the large bonnet, muscular flanks, straight lines, upright face and the customary pantheon grille. And yet there's a lot more aggression and power implied in the car's bold face. The 22 inch wheels are beautifully finished and add to the big stance of the Cullinan. The car sits tall and upright; its height is 1835 mm and its wheelbase a staggering 3295 mm. 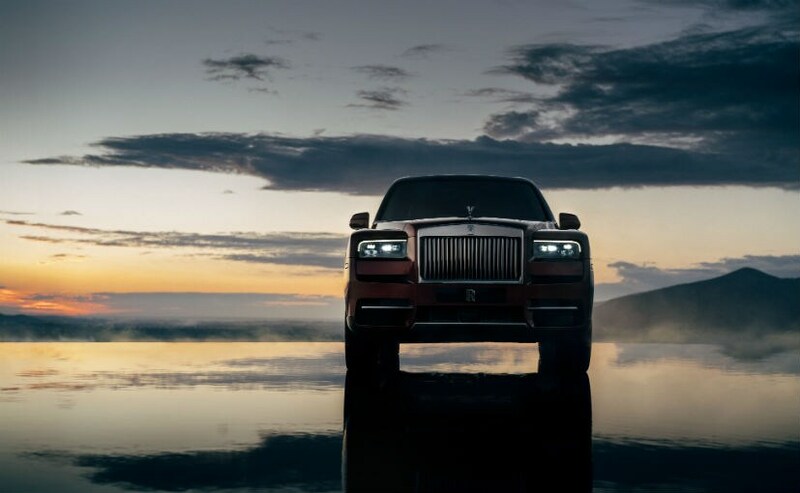 Giles Taylor, Director of Design at Rolls-Royce says, "One of the first benefits of the Architecture of Luxury to the design of Cullinan was the ability to place the wheels and the roof exactly where I wanted them. 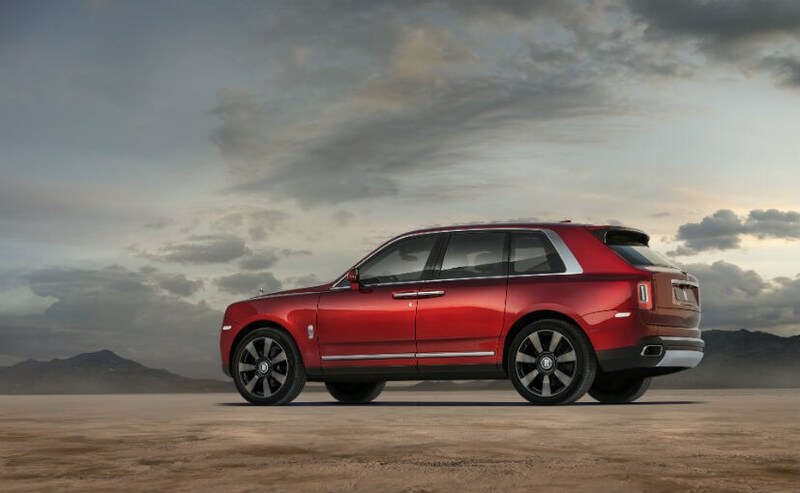 This gave Cullinan the commanding stance of a warrior, immediately communicating its strength and power, whilst at the very same time allows effortless entry and exit from the rear cabin." The rear gets coach doors that swing backwards (like other Rollers) and so getting in and out is very convenient. The doors also extend to below the sill, so you never get your clothes dirty while alighting from this car - even if you have been off-roading. The rear seats are placed higher than the front to afford the passengers pavilion seating with a better view of the environment. And yes there is a large panoramic glass roof too. Rolls-Royce is calling this the world's first three-box SUV - in that the cargo area is separated from the passenger cabin. 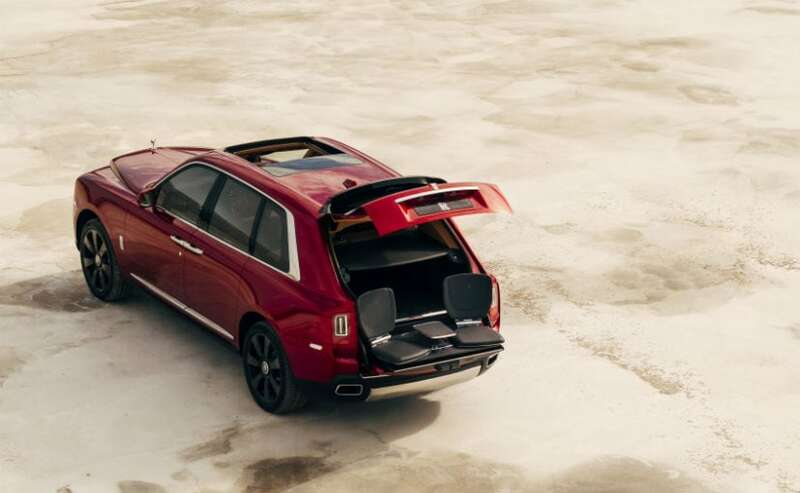 Visually too, the rear seems to bulge outwards like a more traditional boot, while the roofline stays typically fullsize SUV. Rolls-Royce is calling its first-ever opening tailgate 'The Clasp', a split tailgate which opens and closes in its two sections automatically at the touch of a button. And in a hark back to the era when luggage was mounted on the exterior of a car, a glass partition wall separates the cabin from the bootspace. The rear seats can be folded down for extra cargo room - standard bootspace is 560 litres, expandable to 1930 litres. Even with the seats folded, the boot floor is lower than the folded seat backs - to create a definite separation between the two spaces, ad not allow luggage to slide forward. But if a larger item needs to be stowed, that lower floor can be raised to bring it on par with the folded seats, creating a longer flat floor. The boot also has a special module built into its floor, which electrically deploys folded jump seats that extend out of the car and open. Perfect for a picnic, simply enjoying the environment, or even attending a child's neighbourhood soccer game! The Spirit of Ecstasy hood ornament is very much there, and like the other models, can be customised to be made of various metals or even glass. The cabin is packed with technology, and you now get touchscreens front and back, with every feature you can imagine! 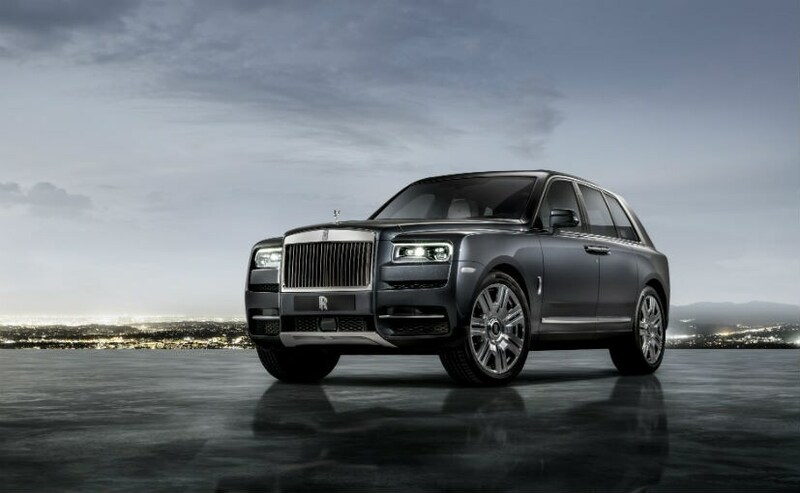 Speaking of technology the Cullinan also has Night Vision, Pedestrian and Wildlife alert, an Alertness Assistant, 4-cameras with panoramic view, active cruise control, Wi-Fi hotspot, and a head-up display. For extra safety there are also a collision, cross-traffic, and lane departure warnings. 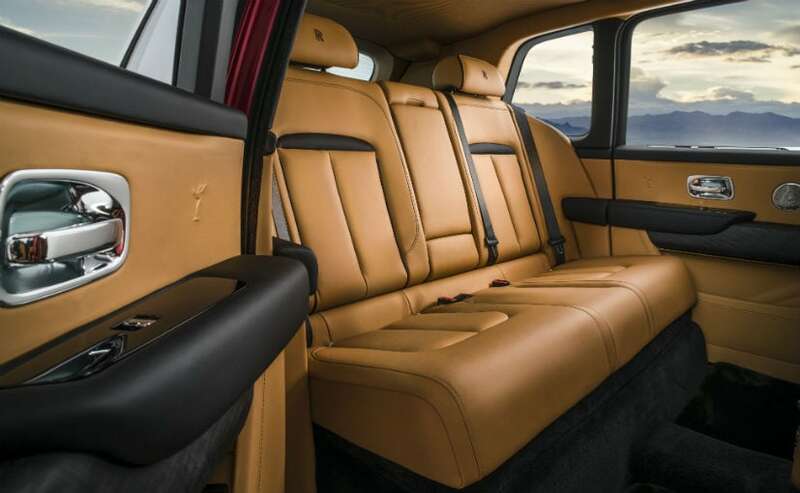 The cabin itself is luxury personified with miles of luxurious leather, bespoke fabrics and carpets, power seats with massage, connectivity and navigation, and plenty of metal used to enhance the appeal of the dash and other surfaces. The Rolls-Royce Cullinan will definitely make it to India, although that will only likely happen in 2019. With this new model line, Rolls-Royce will expect to expand not only its volumes but also its customer profile and base worldwide. The car is seen as having maximum potential in key SUV-friendly markets. While the US, China and UK get most of that attention, India also features on that list.